Summer’s gone and Autumn [or Fall] has taken its place. The anime is still coming by the boatload though and on Anifile we are delighted to be able to continue with the previews for the shows coming up. Like in the spring, we are separating shows into different categories based on their primary genre. There are thirty anime eligible for review on this site [As usual, I don’t count sequel seasons of series such as the two new Gundam series] and instead focus on the brand new franchises and see if they’re worth your time. Let’s begin with some action! On her sixteenth birthday, the only princess of Kouka [Yona] is greeted with the sight of her dead father at the hands of her cousin and love interest Soo-won. Before he can kill Yona, her servant Hak rescues her and takes her to an old monk who teaches them about four legendary dragons which can save the kingdom from the tyranny of Soo-won’s faction. 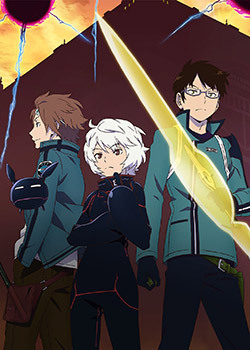 Upon first glance, it’s a decent looking show with average visuals and some grandiose battle sequences thrown in. The plot is somewhat samey with the whole love interest angle despite the fact that one of the subjects killed the other subject’s father; kind of makes things awkward. It seems like a good show overall though but it’s not novel enough to bring to the front of the queue. In the Meiji era, the age of the samurai was starting to fade away into the history books. Carrying swords was made illegal, but crime spiked as a result. In response, the government created a huge island prison where the only way in or out is via boat. Three brothers from the Kumo family man the vessels as they transport convicts to the island. However, from first glance, it seems that things aren’t quite as straightforward as you might think. The last hurrah of the samurai is a hugely significant part of Japanese history and to focus on it in an anime is somewhat refreshing. It’s like how the Western genre revelled in the dying days of the cowboy in the 1880s. It’s the same thing! These trio of samurai-born warriors have a cool look about them and clearly show prowess in different ways. I’m intrigued with how this will pan out as it’s clear that the story goes far beyond simply ferrying prisoners. Let’s see! The Valiante Kingdom has begun a massive search for wielders of Maki, both priests and knights. In the resulting purge, the art of Makai is brought to a near extinction. One man, Leon Luis, returns to the Valiante Kingdom at the request of the king’s son when his throne is taken from him by his former advisor. 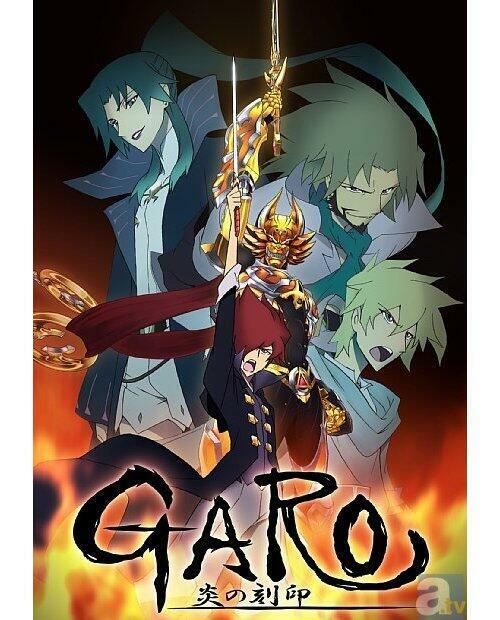 Leon wields the power of the Golden Knight Garo and only its power can help the land be restored to its rightful owner. Two thoughts came to mind. Knights transforming and ‘The past will come back to haunt you!’ This adaptation of the famous Garo tokusatsu series is a curious retelling of the concept. Unrelated to the live-action series, the anime plans to take a grander approach to the idea of knights with sentai-like powers. This show carries a lot of weight behind it and seems to look pretty cool too! In this world, Japan has been besieged by intergalactic parasites known as…Parasites. These aliens invade the population not with lasers but by burrowing into humans and animals through their noses or ears taking them over – in VERY disturbing ways. One boy named Shinichi is spared such a fate, or at least for the most part, because he was wearing headphones. He is still infected but only his right arm is infected; it develops a personality and together they fight other Parasites whilst using each other to survive and prosper. Wow. I thought Terra Formars was going to be the shocker of the season; this probably will give it a run for its money. It is a REALLY scary idea; parasites taking over your body without you knowing it and turning you into some kind of monster that likes eating other people. Even dogs aren’t safe! In any case, I really want to see where this goes and how Shinichi and his partner, Migi [Japanese for right as the parasite takes over his right hand] interact and help one another! The city of Mikado is home to some of the worst Neighbors you’ve ever seen. From another dimension, these beings destroy Mikado and have been for about four years before the story proper begins. The Border group meet this challenge with a brand new class of weaponised young kids, Triggers. Thanks to these Triggers, the city is brought back to a relative peace until a Black Trigger appears and threatens to disrupt the newly formed status quo. I don’t know. I’m not overwhelmed with the initial premise. I’ve seen this before and I reckon I’ll see this again in the future – demons appearing which cannot be stopped by regular weaponry and as such NEW weapons need to be made. Fortunately, the show in its entirety seems to be quite light-hearted and characterful with a neat main duo. My main concern is that Toei will skimp on the animation [which is somewhat evident IN THE PREVIEW] like it has done with recent shows that aren’t Dragonball or One Piece. If it can give this show a good animation budget then things should be OK, otherwise the look won’t match the feel. So we have five action-packed productions in the work. What else do we have? Well, we got twenty-five other anime to cover and seven of them are comedies which we will look at next time!